Matsuo T, Escamilla RF, Fleisig GS, Barrentine SW, Andrews JF. Comparison of kinematic and temporal parameters between different pitch velocity groups. To help understand how this works, imagine you’re riding a bicycle at full speed and suddenly slam on the front brake. What happens? The front wheel will stop and inertia will launch the back of the bike up in the air sending you over the handlebars. Well the same thing is happening in your pitching delivery. If you collapse the front knee, it’s basically an energy leak, some of that momentum and force from your stride gets lost and doesn’t get transferred well to your upper half. The more powerfully you drive towards home plate and brace up with your front leg, the more powerfully you will transfer force to your upper half, catapulting over your front leg and accelerating your arm for maximum velocity. One important note: when talking about good front knee action and extension, I’m specifically talking about what you want to be happening at ball release. I am NOT advising that you should land with a stiff or locked out front knee. This would be very jarring, increasing the stress on the arm and hurting your control. You want to land flexed and firm with that front leg, and then brace up into ball release. 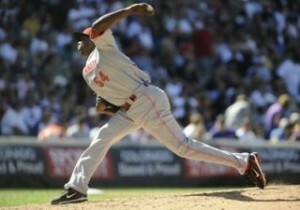 One way to gauge how well you brace up with your front leg is to look at how you finish. If you brace up well, your hips should never get past your front foot after you throw. If your body continues on towards home plate after the pitch, you are not bracing up effectively. For proper front knee action, you should be landing with a strong front leg (again, flexed and firm) with your front foot then pushing hard into the ground to resist all of the momentum and force you created in your stride. Your front hip basically acts as a pivot for your trunk to rotate around. So if you are soft or weak with that pivot you lose some rotational velocity. 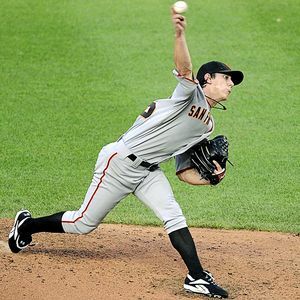 Your front leg should really be extending (knee straightening) and pushing back into your front hip after foot plant, leading to better hip rotation, sending all of that force from your stride into your upper half as you throw. This takes tremendous leg strength. Not only do are you moving powerfully with your stride, but the slope of the pitching mound enhances gravitational force so that at front foot plant you land with force equal to up to 175% of your body weight. If you are weak with that front knee, not only do you lose power, you’ll have a tough time being strong and stable at pitch release, which can hurt control. 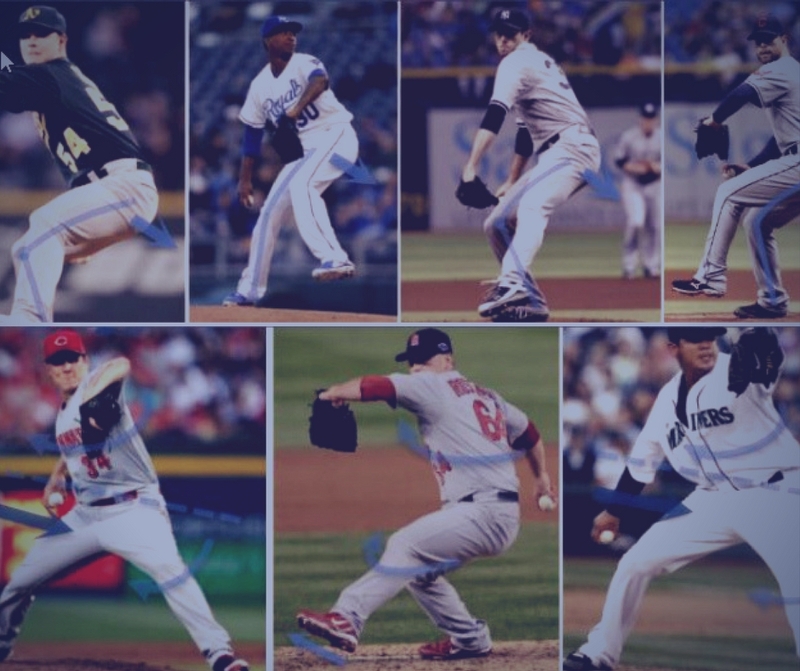 There are several reasons pitchers may have a hard time bracing up well with their front knee. Sometimes it’s just a matter of breaking bad habits and developing new muscle memory through repetition and deliberate practice. But very often, the problem stems from deficiencies in strength and mobility. 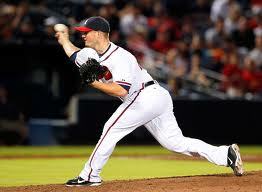 Many young pitchers just don’t have the leg strength yet to brace up well after front foot plant. They may also suffer from poor hip mobility that limits their range of motion and forces them to compensate by leaking open with their front knee. This is where a good strength and conditioning program can make a big difference. Developing the strength, mobility and motor coordination to execute this movement properly takes work, but if you work hard at it, the reward is better velocity and consistency.